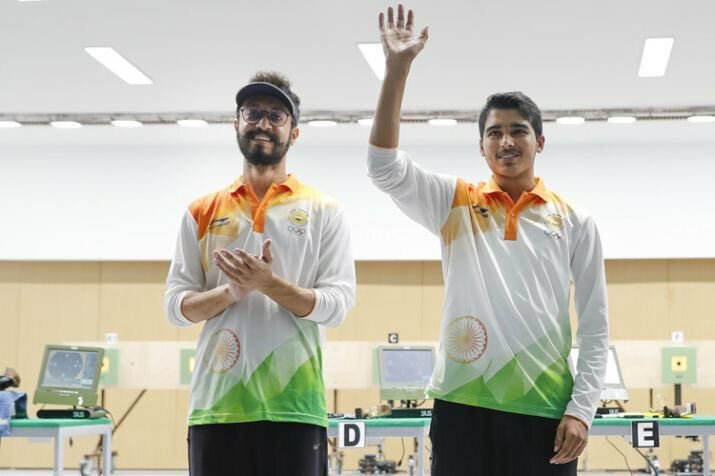 Jakarta: Saurabh Chaudhary set a new record by winning third gold for India at Asian Games 2018 while Abhisekh Verma added another bronze for the country on Tuesday. The Indian went ahead with a 10.2 off his second-last shot and held the nerve to stay ahead. Chaudhary topped the qualification round with a score of 586 while Verma with a score of 580 qualified in the sixth position. The 16-year-old Saurabh Chaudhary shot a total of 240.7 to claim the top honours at the JSC – Shooting Range whereas Abhishek Verma shot a total of 219.3 to finish third on the podium. Tomoyuki Matsuda of Japan secured the silver with 239.7.